It’s true, BabyDam will serve you diligently for many years. Treat it well and it will repay you with many years of perfect service. We have experience of customers who have used BabyDam for 3 different children, we are even still seeing the original BabyDam that we launched 10 years ago in circulation, wow! Over time soap residue can build up on the suction cups of the BabyDam which may cause the suction cups to not be as effective during use. Because of this it’s important to regularly clean your BabyDam to keep it in tip top condition. We cannot stress enough that when it comes to cleaning your BabyDam that you NEVER use abrasive or acidic cleaners on the product, we try to make this as apparent as we can on the instructions and information that you receive with your BabyDam. These chemicals are damaging to the plastic as they will begin to eat into it over time which will cause the suction cups to go brittle. When it comes to cleaning BabyDam, please keep it simple like the below, it’s much kinder to the product and will increase the lifespan of the suction cups. You will need a flannel or cloth which hasn’t already been used with cleaning products. Dampen the flannel/cloth with warm water and wipe throughly over the suction cups, repeat on the rest of the BabyDam if required. It’s as simple as that! We recognise that it might not be on the top of your priorities after bathing baby, but it only takes a minute or two and you’ll be thankful for doing so in the long run. Store BabyDam in a dry environment which is free from moisture and damp air. Due to the nature of BabyDam, it is very easy to store, it can be slotted, stored or even hung up. 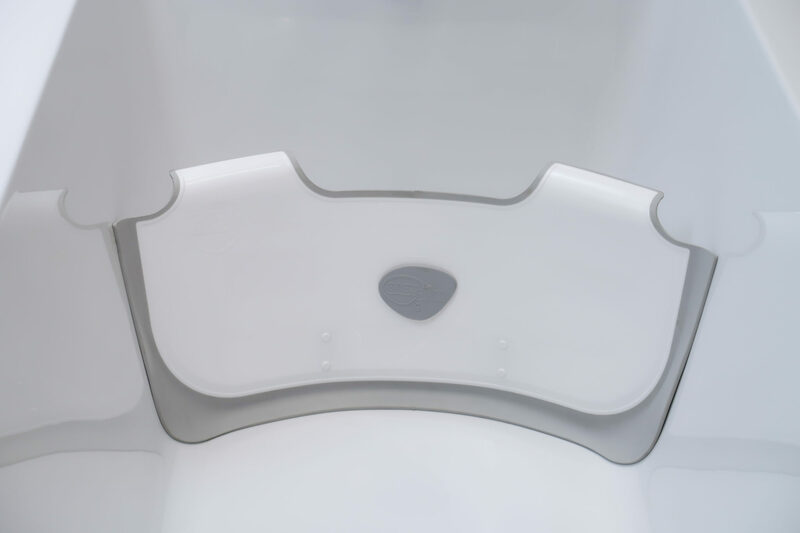 A bathroom is the obvious and easiest choice to store BabyDam for added ease, as bathrooms are a naturally damp environment you will need to ensure that the suction cups are always dried after use. As for storage ideas, your options are endless! Think wardrobes, top of wardrobes, in storage boxes or just on show! Just aim to keep it in a dry and safe place. 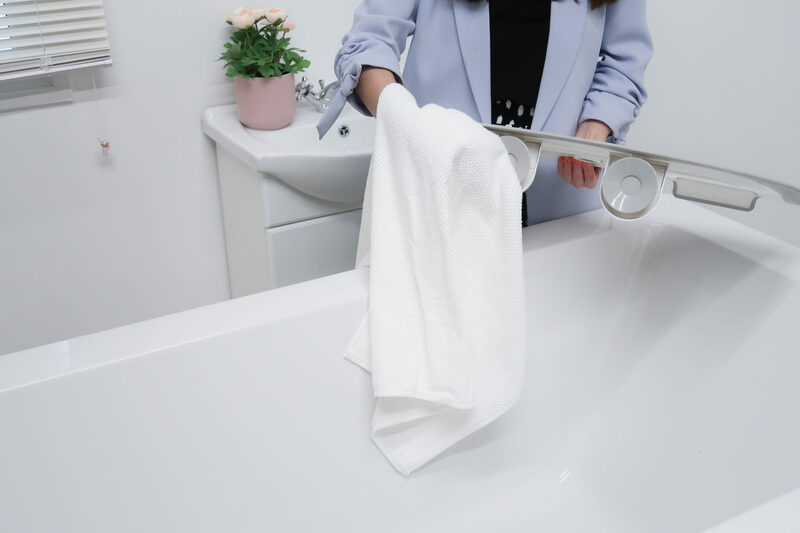 After using BabyDam we strongly recommend rinsing the suction cups with water and then towel drying, this will also help you to keep on top of cleaning it. However, if you just have time to dry off the suction cups then that is fine too. Just like that annoying bathroom sealant that starts to grow mould, if the suction cups are continually left to dry naturally and BabyDam is kept in a damp environment then this provides the perfect breeding ground for mould to creep in. The mould will not stop you from using BabyDam, but it looks unsightly and cannot be removed. Ever tried getting rid of mould from your bathroom sealant? Yup. It’s impossible. Whatever you do, NEVER clean with abrasive or acidic cleaners, instead of removing the mould, these harsh chemicals eat into the plastic which causes the suction cups to go brittle. Once this has happened it renders the suction cups useless as they cannot form a suction on the bottom surface of the bath. If you do start seeing mould appear or the suction cups have become brittle then please email us and we’ll assist you in any way we can so that you can continue to use your BabyDam effectively. So there we have it, look after your BabyDam, and it will look after you! Keep up to date with the latest news from BabyDam over on our Facebook page or Twitter!